1 In large bowl, combine Hellmann's® or Best Foods® Real Mayonnaise, onion, chili peppers and lime juice. Stir in chicken and eggs, then season to taste with salt and ground black pepper. Chill, if desired. 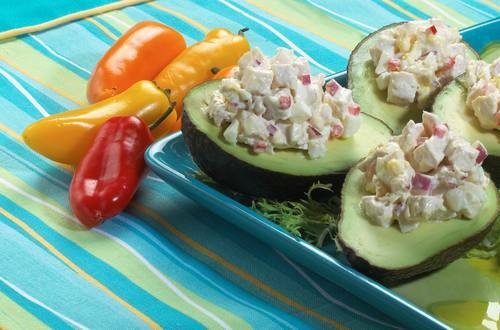 Serve chicken salad in avocado halves. Garnish, if desired, with additional chopped red onion and serve with additional lime juice.